The stitch count for this design is 81 stitches square. 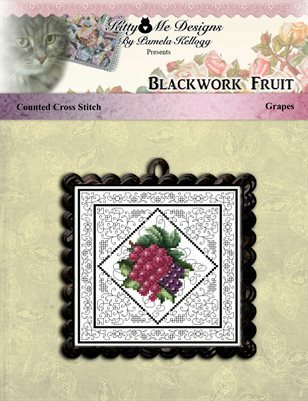 On 28 count White Evenweave or 14 count Aida, the finished stitched area will be 5 3/4 stitches square. Large print, easy to read black/white symbol chart with colored back stitching lines.